Here in Michigan, we have gotten our first cold front sweeping the area. It caused beautiful fog over the bays around Traverse City, and brought the color out on many trees. 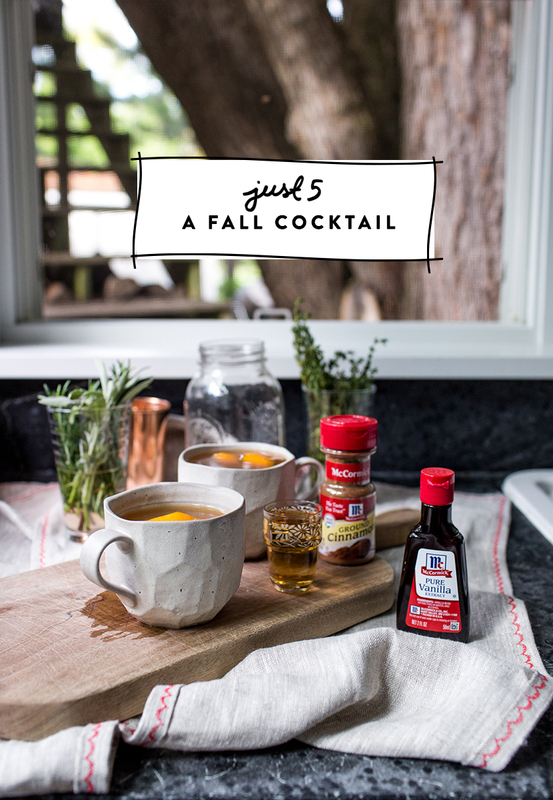 It had us craving warm fall cocktails that included all the right flavors of fall. 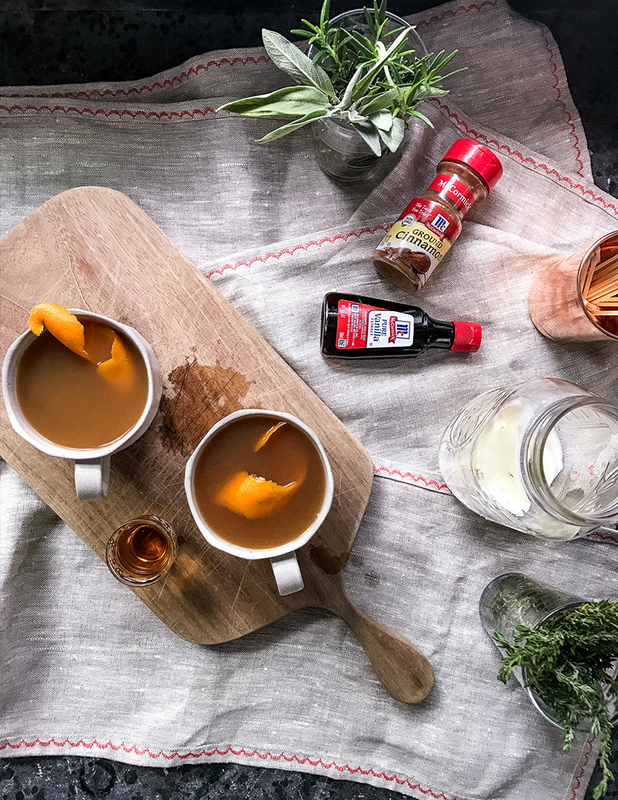 So we came up with this spin on the classic apple cider and spiced rum fall drink with McCormick.We love how the vanilla from McCormick gives a familiar flavor that brings comfort, while the cinnamon offers the perfect earthy flavor you want during the cooler months of fall. The flavors are pure and simple and in just 5 minutes you will have the perfect warm cocktail in your hands and those of your friends. Take one slice off of the orange and peel two strips of the peel off that same orange. Then Place all ingredients other than the rum and the peels in a pot on the stove. Bring to a boil and then let boil for 1 minute to allow the orange to release its flavors. Spoon out the orange sliceThen pour into the cups and allow to sit for 1 minute. Add the 2 ounces of spiced rum. 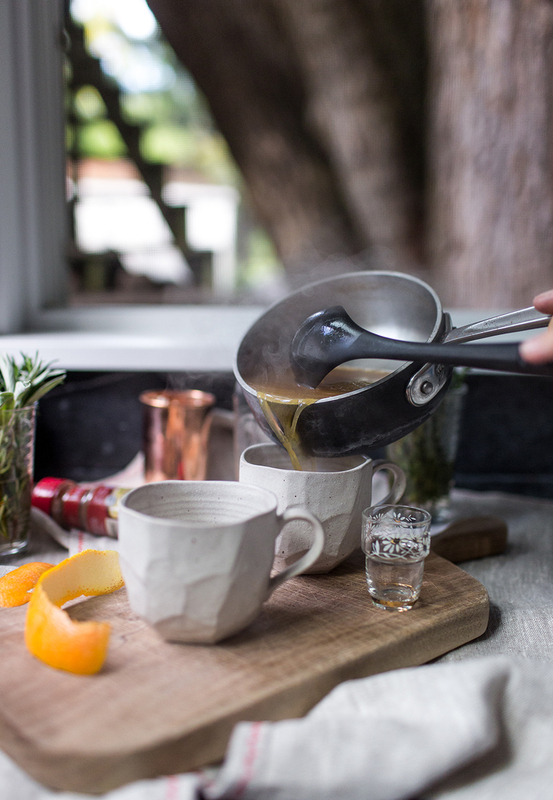 Stir and garnish with an orange peel and drink up. 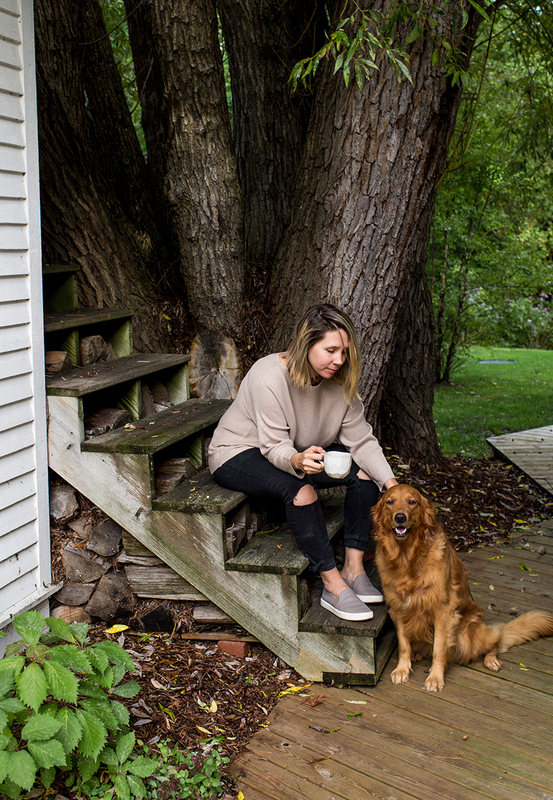 Enjoy preferably on a chill day wearing your favorite sweater next to your favorite furry friend. 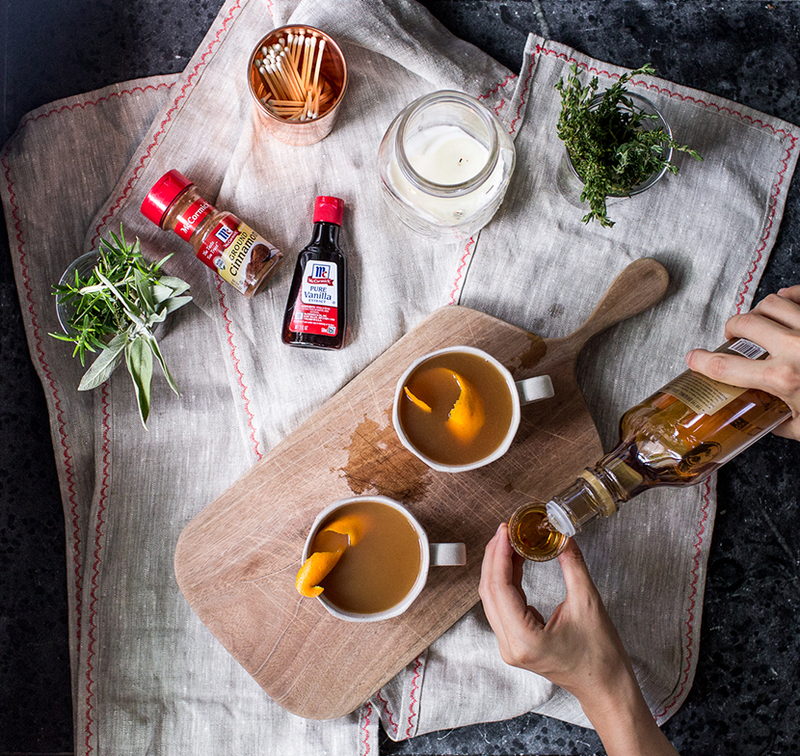 What are ways that you combine classic flavors of fall? 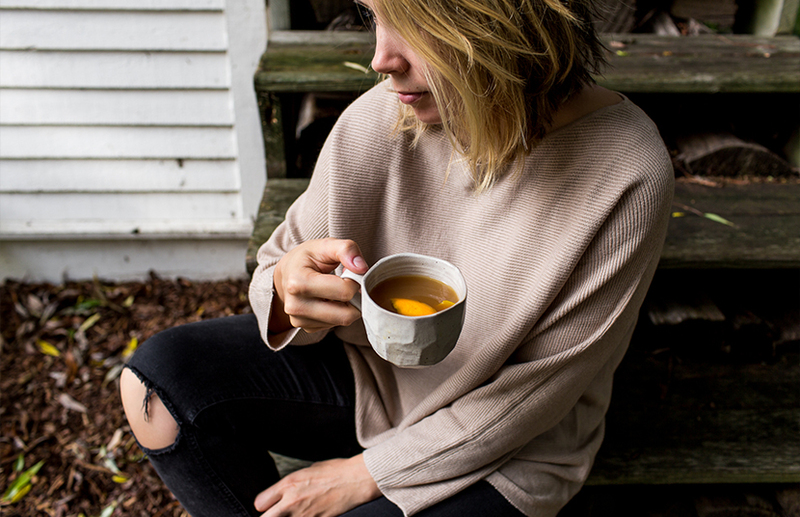 We love all the simple and earthy flavors of fall and would love to hear how you mix it up! This post was in partnership with McCormick. 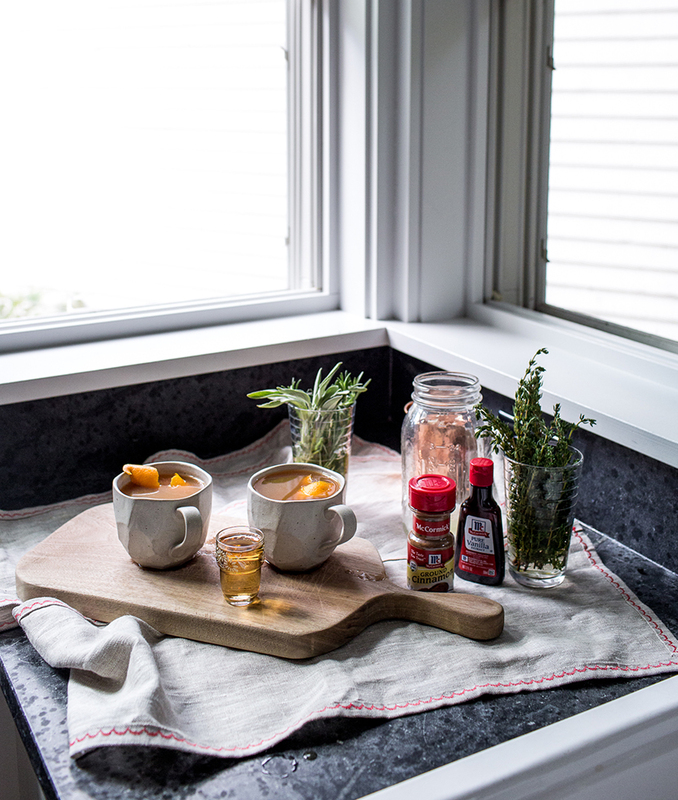 To learn more about the McCormick Extracts and some simple recipes to put them to use, click here! This sounds so DELICIOUS and cozy! This post is so damn cozy. I look forward to future cozy posts now that you guys are located more northerly. And – I have those mugs! I’m so in love with them! Great post! The drink sounds lovely. It’s gotten cold here in London too, I love that I can wear cosy jumpers again, although I’m sure I’ll be missing the sunshine in no time!! first off…those muCgs are fabulous and your doggy looks so happy to be back home! Cant wait to try this as it is just now cooling off down here in Indiana. Love your post always! !